We would like to congratulate the following 8th graders for participating in the NC Northeast Regional Science & Engineering Fair at ECU this past Saturday. Congratulations to Chicod’s Science Olympiad Regional Winners! This was the first time a team has ever represented Chicod and we produced outstanding results. We were so proud of how all of our team members performed, showed enthusiasm, and worked hard to represent our school well. Congratulations to Mrs. Attardi and Mrs. Woolard for participating in the Teacher Executive Institute. Daniel Hall, Physical Education teacher and Athletic Director at Chicod School, was presented with the Smile from the Superintendent's Office award on April 4th. He received the award because of his outstanding work with our students. He encourages responsibility and academic success and has high expectations for the students overall. Second grade students searched for the Lirpaloof bird today. They went outside with carrots in their hands and called out his name. He never came though. We called his name backwards and thought that might work.....Foolapril. Still no bird! After a minute the kids finally caught on! Happy April everyone! 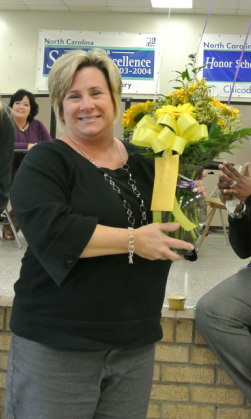 TONYA WILLIAMS NAMED TEACHER OF THE YEAR! Congratulations Krissy Harrington on achieving National Board Certification! Krissy is a kindergarten teacher at Chicod. We are so proud of all her hard work and dedication! We are proud to announce Megan McKeel as our 2013 Spelling Bee Winner! Congratulations Megan! Mrs. Dawson and Ms. Stanley's homeroom classes conducted research on dwellings after a month-long study of Native Americans. They wrote research papers, built 3-D models, and presented what they learned and created to their classmates. 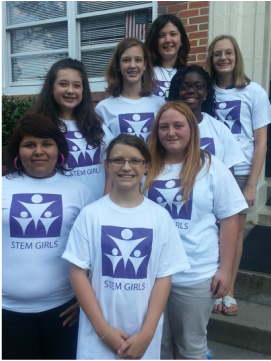 Check out their projects in the library or check out the pictures on their bulletin board! Mrs. Humbles' class made ice cream in Ziploc bags and it was served in chocolate bowls. The bowls were made by melting the chocolate and 'painting' it on the bottom half of blown up balloons. Peyton Farmer is a Scout Silver Award Winner! She has demonstrated leadership in many different ways! We are very proud of her! Kindergarten and pre-kindergarten students and teachers dressed up like their favorite Letterland character. 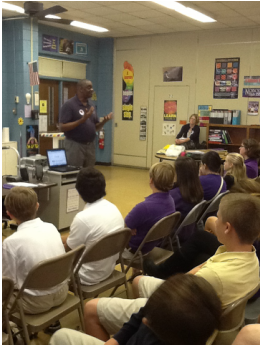 Middle School AIG students had a guest speaker from Carolina Donor a Services to teach them facts about organ donation. This was a follow up to a science fiction story about illegal organ transplants. DR. LENKER, SUPERINTENDENT OF PCS, VISITED CHICOD DURING SPIRIT WEEK! Mrs. Dixon's AG students working on Moebius Strips to determine mathematical patterns. PTA DID AN AMAZING JOB WITH OUR OPEN HOUSE LUNCHEON! We have a wonderful PTA! Thank you for all your hard work! WELCOME BACK! FIRST DAY FUN!